WHO IS AN ‘’INDIGENOUS’’ BIAFRAN? WHO IS AN "INDIGENOUS" BIAFRAN? In our recent struggle for the restoration of the Sovereign State of Biafra, it has become important to rediscover ourselves, to bring to consciousness, our core norms and values, particularly to the younger generation. It is needful we have a deep understanding of the difference between an undistinguished citizen of Biafra and an "Indigenous" Biafran, hence the name "Indigenous People Of Biafra". It is worthy of note that we are not only seeking independence in terms of our resources, geographical boundaries, and governance. We are also in recent times, readdressing our mental understanding of ourselves, shaking off every Nigerianism in us, which if not well addressed, might even after independence bring Biafra back to what Nigeria is today. This article is a necessity to Biafrans especially someone who was born in Lagos, raised in Kano and is currently working in Durban. Such a person might have a little or no touch of Biafra norms, values and culture depending on the parents. He/she might still reluctantly believe in this struggle for Biafra restoration but might not understand why Biafrans go all the way, to the extent of risking their lives just to break out of this evil amalgamation. He/she might not really fathom why Biafrans have totally rejected the co-existence of the Hausa/Fulanis and Biafrans as a nation. When we say "Indigenous People Of Biafra", it has a deeper than the literal meaning of the word. It is a term given to a group of people with common values deep rooted and inherent in them…, not necessarily traditional culture but more of moral values and social mores. • Patriotism: An indigenous Biafran is deeply patriotic to Biafran nation; he places Biafra and the welfare of the nation ahead of his personal ambitions. He is readily available to be used by the nation, apt to teach and contributes positively to the growth of the nation. • Self-Reliance: An indigenous Biafran believes in himself; he does not believe that his destiny is dependent on any man born of a woman. He does not depend on his king, governor nor the government to address his daily needs. His integrity and self-esteem are as important to him as his life. • Freedom: An indigenous Biafran loves to see even children express their human rights. He loves to be free from every injustice, oppression, and suppression. He does not only enjoy it, he loves to see it replicated in other people’s life too. For example, a Biafran that sees a Nigerian fighting with a Biafran does not quickly condemn the Nigerians like most Nigerians do, but objectively judges the matter and makes sure that justice prevails if he has the powers to implement it. Every attempt to subject a Biafran to factors that are contrary to his personal beliefs has proved non-viable. Biafrans enjoy the freedom of speech, freedom of worship, freedom of association etc… In fact, Human Right Commission and United Nations have very little to do in Biafra in terms of the fight against abuse of human rights, Biafrans have been effortlessly observing these rights as far back as history can tell. Biafra, though still striving to be restored, is void of any external influence. • Spirituality: An indigenous Biafran naturally believes that there is a supernatural power that controls the affairs of men, a power that determines his destiny, a power that shields and guides him against evil forces. He works hard to earn a living, cultivates in his farm, but believes that it is the responsibility of this superior being to give him increase. An indigenous Biafran does not believe in another man’s god but believes he can reach his own god himself, talk to him and get results. Our reliance on spirituality reflects on the name given to us, hence the name –Abasieno, Abasima, Abasiofon, Nnamdi, Chukwuemeka, Chialuka, Chinwendu, Chidimma, Onyinyechukwu, Kenechukwu etc. • Language: An indigenous Biafran teaches his child his native language as the first language. He is not ashamed to then speak any second or third language with a touch of his native dialect. Though he does this, he still learns any language as fast as he can, as an aid to excel anywhere he finds himself. • Literacy: An indigenous Biafran does not believe that there is anything he is not capable of doing. He is an inventor and nothing limits him. He does not adhere to old ways of doing things, he taps into opportunities and utilizes his chances. READ: WHAT CAN SEPARATE BIAFRANS FROM THE LOVE OF BIAFRA? NOT KILLINGS, INCARCERATIONS, NOR TORTURE. Only a Biafran rises to a multi-billionaire, associating with foreign companies in his sole venture without a primary school certificate. Notably, the first West African to write a book in recent times is a Biafran (Olaudah Ekwuano); the first Vice Chancellor of a Nigerian University is a Biafran(Kenneth Dike of the University of Ibadan); the best Writer in Africa is a Biafran (Chinua Achebe); the best computer scientist is a Biafran (Philip Emeagwali). The first company to produce internationally certified branded computer in West Africa is a Biafran (Nnamdi Ekeh of Zinox computers); first phone manufacturer in West Africa is a Biafran (Anabel Mobile); the first and only floating market in Africa is in Biafra (Bayelsa State near the Atlantic Ocean); The first Nigerian woman pilot is a Biafran (Captain Chinyere Kalu, born 1970); Nigeria’s 1996 Olympic Gold medal in football was won by 80% of Biafrans, and other achievements so numerous to mention. • Attitude/Social Skills: An indigenous Biafran is not a thug, he is not a barbarian, he is responsible. He keeps secret, knowing when to talk, how to talk, what to say and what not to say. He is always conscious of the responsibilities that await him, bearing in mind that he cannot prostrate to anyone. In respecting himself, he respects others. Minor social skills that are not considered serious in other nations are taken seriously in Biafra, for example, giving or receiving objects with the left hand, eating with the left hand, virginity, family history, respect for the dead (Biafrans are forbidden to confess negatively against the dead except they were notorious) etc. • Value On Life: An indigenous Biafrans sees it as a taboo to waste life, he does not kill, not even his enemies. In Biafra, life is seen as sacred as life is. Blood is only shed in occasions of war. In domestic violence, once blood gushes out of one's body, both parties calm down, it brings an end to that violence, at least for that moment. • Mental Toughness: An indigenous Biafran does not give up, evident in our recent struggle to restore our nation. He believes in his dreams. In Biafra "whatever the mind can conceive is achievable’’. • Brave and Fearless: An indigenous Biafran confronts situations, even when the whole world believes otherwise, he goes for what he is convinced about. With this brave heart, Biafra confronted Nigeria and engaged them in a three and a half year war just to defend herself. The Europeans that first ventured into West Africa can attest to this too; they saw men that withstood them and confronted any idea that does not suit their ideals. Biafra is the only nation in Africa where the black man is truly in charge. 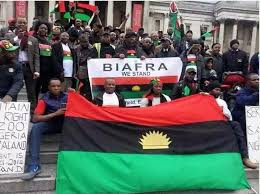 • Deep Understanding Of The Current Restoration Campaign: An indigenous Biafra who understands the uniqueness of Biafra nation, her values, and praxis, is convinced that these values are endangered in the British controlled Nigeria. He is passionate and will desire to see a nation that upholds the values and preserves the admirable history of a black man. Hence, that you were born at Onitsha, raised at Aba, living in Uyo, married to an Ijaw woman is not a reason enough to make you "indigenously’’ a Biafran. You might be a Biafran by birth, marriage or any other means but not an Indigenous one. If the core values of a Biafran that I have outlined applies, then, people like Joe Igbokwe, Chris Ngige, Rochas Okorocha, Willie Obiano, Ohaneze group etc, share absolutely nothing in common with Biafrans. They have no grounds, it is above their call, to speak for the ordinary citizen of Biafra. These group of people is only basking on the value an average Biafran has placed on life to vomit muck against Biafra, they frustrate every effort made to restore Biafra bearing in mind that their abominable acts will not be condoned in new Biafra. If they had been Hausas, their community would have given them to history. I will conclude in Ojukwu’s speech on 1st June 1969: "Fellow countrymen, we pride ourselves on our honesty. Let us admit to ourselves that when we left Nigeria, some of us did not shake off every particle of Nigerianism. We say that Nigerians are corrupt and take bribes, but here in our country, we have among us some members of the Police and the Judiciary who are corrupt and who “eat” bribe. We accuse Nigerians of inordinate love of money, ostentatious living, and irresponsibility, but here, even while we are engaged in a war of national survival, even while the very life of our nation hangs in the balance, we see some public servants who throw huge parties to entertain their friends; who kill cows to christen their babies. We have members of the Armed Forces who carry on "attack" trade instead of fighting the enemy. We have traders who hoard essential goods and inflate prices thereby increasing the people’s hardship. We have “money-mongers” who aspire to build hundreds of plots on land as yet unreclaimed from the enemy; who plan to buy scores of lorries and buses and to become agents for those very foreign businessmen who have brought their country to grief. We have some civil servants who think of themselves as masters rather than servants of the people. We see doctors who stay idle in their villages while their countrymen and women suffer and die. When we see all these things, they remind us that not every Biafran has yet absorbed the spirit of the Revolution. They tell us that we still have among us a number of people whose attitudes and outlooks are Nigerian. 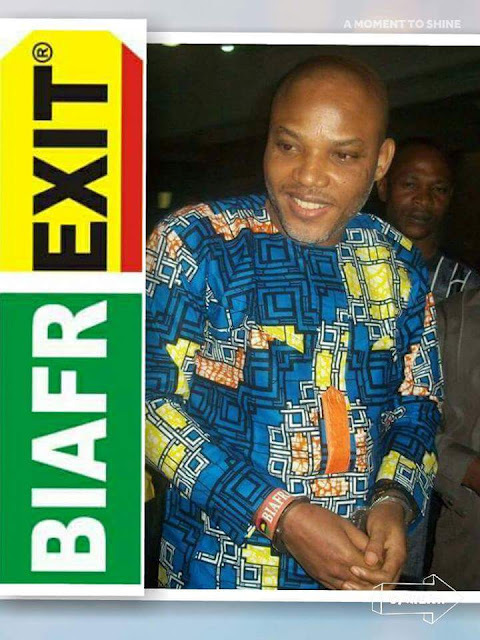 It is clear that if our Revolution is to succeed, we must reclaim these wayward Biafrans. We must Biafranize them. We must prepare all our people for the glorious roles which await them in the Revolution. If after we shall have tried to reclaim them and have failed then they must be swept aside.